To be honest, I have a love/hate relationship with rings. I believe I have this curse where my rings fall off at the most inopportune times. (I lost my expensive ring in the grass twice and had to search around for hours to retrieve it.) Midi rings sound like my worst nightmare. But, I have to talk about it since they are getting popular. Midi rings are essentially just small rings made to fit between the upper joints of your finger instead of between the knuckle and middle joint. They allow ring fanatics to wear even more rings all over their hands. My opinions aside, midi rings offer a modern take on jewelry and actually look attractive on the hand. I prefer thin midi rings because of their elegance, but they come in all shapes and sizes. If you have fat fingers though, you may have a hard time since some retailers have a “one size fits all” thing. But, you can always just…buy a small ring? They are pretty much child sized rings so just grab a size 5 ring and wow you have your own midi ring. I don’t own any midi rings, like I said, so I don’t have much to say. This is geared towards women (since its jewelry lol) but guys who enjoy wearing rings might see this trend expand to men’s accessories in the distant future. At F21, they’re super cheap, around 2-4 bucks. At other places they might be a bit more pricey but for sure cheaper than the normal sized rings they sell. Anyways, I hope to try these out for myself soon. 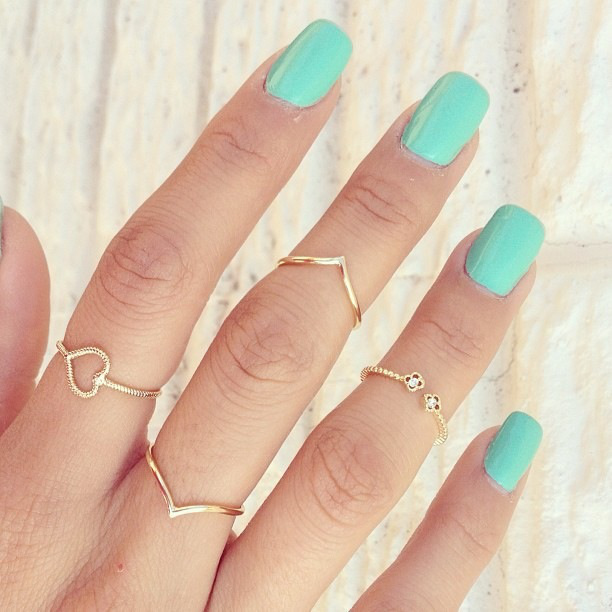 TL;DR: Hop on the jewelry bandwagon and pick up some midi rings!